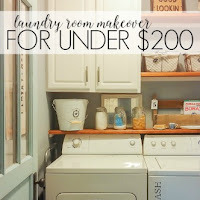 Using chalk paint and wax to make the NEW look OLD! 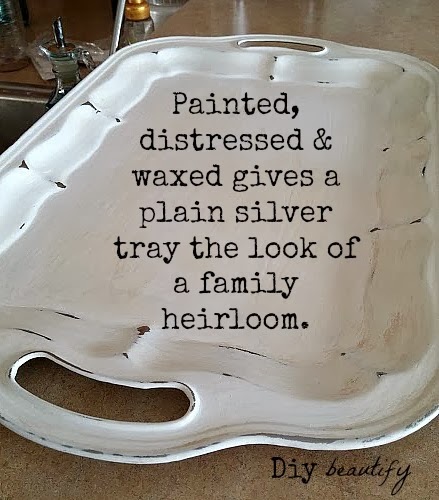 I love the idea of taking something shiny and new and roughing it up a bit, painting it, distressing it and giving it a whole new look...making it look like it's several decades old...maybe even a hundred years old and was a treasured family heirloom, passed down through the generations! 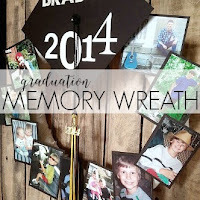 Hey, I'd love to have some real family heirlooms...but if I can't have em, I can always pretend!! That's the look I was going for when I decided to makeover these silver trays. The large one is a silver-plated tray I found at Goodwill and is quite heavy. The smaller one is just a cheapy one (probably Dollar Store quality) that I also found at Goodwill. 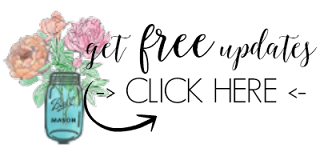 Affiliate links may be included for your convenience; my full disclosure policy is here. This talk-through tutorial will show you how you can take something that looks like junk and make it look FAB and OLD and brimming with life again (if that's the look you like that is!). I realize not everyone is into making things look antique..but this same technique can be used to make old things look new again, so it's a win-win!! These trays were painted 4 or 5 years ago, way before I decided to take up blogging as a hobby...so I don't have step-by-step pictures. However, I will try to talk you through it step by step as it's not rocket science. You can do this!! First thing...find a tray! If you're going for the old, vintage look..the more curves and embossed areas, the better. Clean it up just so it's not sticky and icky. 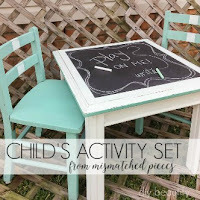 Grab your chalk paint and give it a coat. If you've never painted a shiny, metal surface with chalk paint before...you will think you have goofed big time. There will be streaks everywhere! Don't worry. Aim for a thin coat, try not to go over the same surface twice but you also want an even coat, no drips. Once it's dry, give it another thin coat. Let it dry again. Now the fun part begins. 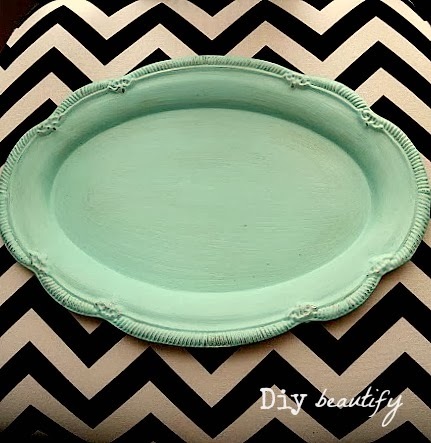 Grab a sanding sponge (you can find these in the painting section of any hardware store) and lightly sand your tray. Your aim here is to smooth out the chalk paint gritty sections, as well as to remove sections of the paint from the raised surfaces. Sand lightly...too heavy and you will remove too much paint...you don't want to have to paint it again!! Check it with your hand. You will feel the surface begin to get very smooth. You can opt to distress it as much or as little as you want. Try to think of where it would naturally wear if it really were an old piece. Now you want to get all the paint dust off with a damp cloth. We want a clean surface for the next step ...waxing. I used both clear and dark wax on my pieces. The clear coat seals and protects it and the dark wax provides that depth of an antique piece. When working with dark wax, you MUST put a coat of clear on first or your wax will be permanently adhered to your paint. The beauty of doing the clear wax first is that you can play around with the coverage of the dark. Too much? Grab some clear on a cloth and wipe it off. It is flexible and forgivable. To get the best look of a vintage piece, add dark wax in the grooves and the embossed sections. You want the dark to blend in and not really be that noticeable but give it depth. Once you've waxed to your satisfaction, give it 10 minutes or so and then use another cloth and buff it. You will immediately see a beautiful sheen that is unlike anything you would get from a poly coat. You're done! You did it! Remember that waxed pieces need about 3 weeks to completely cure so set your tray aside and try not to use it for awhile. I know it will be hard as you'll want to use it and show it off every chance you get! If you're going for a more modern look, paint your piece, and lightly sand to smooth the surface but don't distress. Wax with clear wax and you're done! 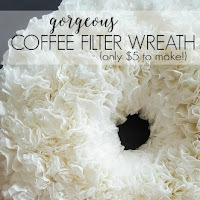 I'd love to know if you tried this project! Please leave a comment below! 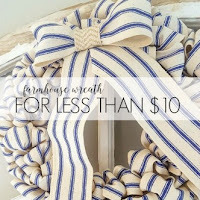 I am so on a chalk paint kick right now! But I never, ever thought of painting a tray. Wonderful idea! I do paint trays and love the way yours turned out. Love the way that turned out! It looks great! Have a great day! Oh pretty! 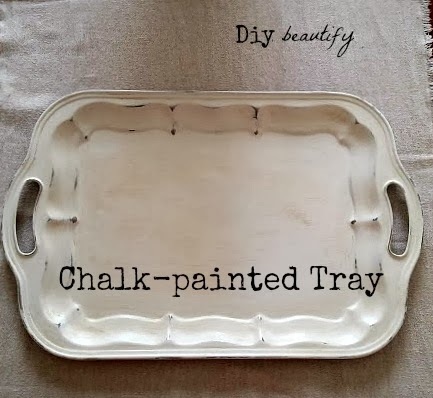 What a great way to give those old trays a fresh new look! Just came over from Carolyn's Homework Inspiration Board to read more about your beautiful pig tray. 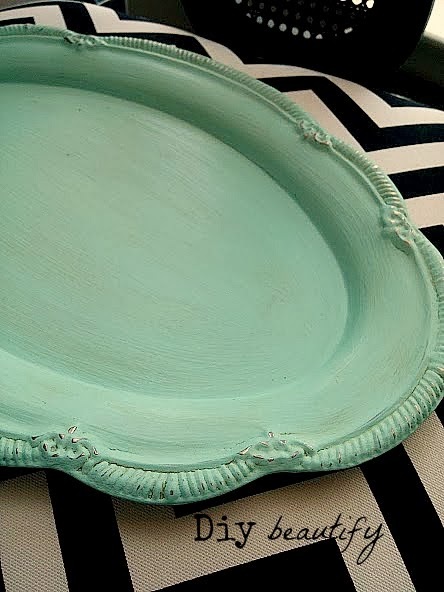 What kind of wax are you using for these chalk-painted trays? Is it car wax, floor wax, or some kind of craft wax? I have two very large, silver-plated catering trays that are too nasty to be used without a doily-like paper liner. I'd love to dress them up, so would appreciate some brand names of your favorite products, too. Thanks. Hi Charade, so happy to answer your question. 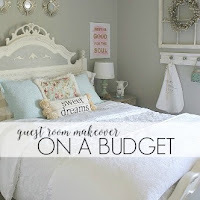 I use MinWax Furniture Paste from either Home Depot or Lowes (under $10). They sell both a clear/natural and a dark. It is the same as using a poly but gives a softer finish (looks-wise) and I just prefer using it. Hope that helps! 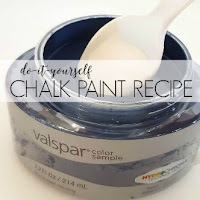 I so want to try my hand at chalk paint and I'm glad you made this post because now I feel a little more confident to give it a try. The tip on using the clear wax first was great because I would never have thought of doing that! 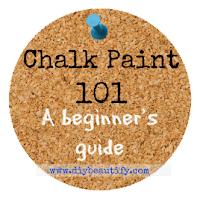 Where do you buy chalk paint? You can also buy it online. And Home Depot is now selling small pots. They're by Americana Decor. In other words, it's pretty much everywhere! I think your white tray is fabulous. I have painted similair trays with black or bronze paint but I love the tray in white. I am off to find a tray to paint. Thanks for sharing. Thanks so much Traci! I'm so glad I inspired you to "instant action", LOL! Would love to see your white tray when it's done. These are so awesome! I just have a question. After you finish them and wait for 3 weeks, can food actually be placed on these safely? Thank you so much. That's a great question. As long as the wax you use is food safe,it will be fine. Check the label of the product you are using.